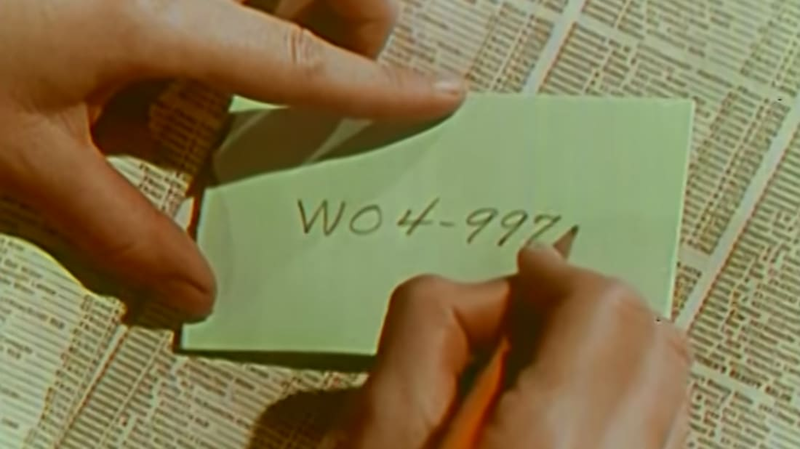 Phone numbers looked like this in the middle of the 20th century because of telephone exchanges. These were the hubs through which an area's calls would be routed. Phone subscribers were given a unique five-digit number within their service area. These would be preceded by two digits—which were identified by letters—that denoted the telephone exchange you were connected to. (Before the 1950s, some cities used three letters and four numbers, while others had two letters and three numbers. The two letter, five number format—or "2L-5N"—was eventually standardized throughout the country). Because these telephone exchanges could only facilitate around 10,000 subscribers, many large cities had multiple hubs. The Ricardo's MUrray Hill5-9975 meant their number was 685-9975 ("Hill" and its capital H served purely as a mnemonic), with the 68, or "MU," representing the East Side of Manhattan's telephone exchange. This is also why phones still have three-letter chunks over numbers 2-8 (and four letters over 9). Full words were used in order to help customers remember the telephone exchange name, and because they were easy to understand, especially for switchboard operators. Similar-sounding letters would cause confusion, so distinct names or phrases were preferred. The specific words used to identify the two-letter codes weren't standardized, but rather recommended by AT&T/Bell in their Notes on Nationwide Dialing, 1955, which was distributed around the country as people started to make more and more long-distance calls. You can see the list of names for each telephone exchange here. Around this same time, area codes were introduced, but they were used mostly by operators and not customers. In the late 1950s and throughout the next two decades, United States phone systems began switching to all-number calling, which didn't rely on archaic telephone exchanges and could exponentially add customers just by introducing new area codes. The change did not happen without some resistance, however. People loved the literary charm of their old telephone exchange names, and groups like the Anti-Digit Dialing League and the Committee of Ten Million to Oppose All-Number Calling were formed to protest the switch. Crazy, right? People actually used to pick up the phone and make calls.